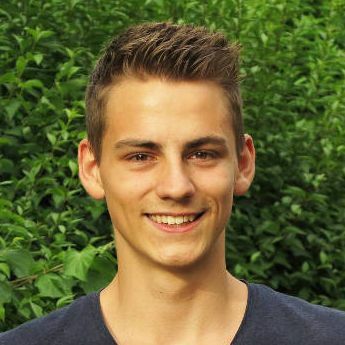 My name is Timo Denk, I am n years old and a German computer science enthusiast. I am currently employed as a Software Developer at SAP in Walldorf/Berlin, while studying Applied Computer Science at DHBW Karlsruhe. Besides that, I run a one-man business called Denk Development where I create custom software and hardware solutions for customers. Most of the time that involves microcontroller programming. In my leisure time I like to code even more. Besides that I play the piano do some sports: playing ultimate frisbee and running are my favorite activities. An overview about my web pages can be found at sites.timodenk.com. Primarily software development, SAP technologies like SAPUI5 and HANA administration, and customer contact. Mostly microcontroller programming (Arduino, Teensy, etc.) and electronics as well as managing the company. Back end web development (mostly PHP or Node.js), front end web development, start-up environment, and customer contact. Lectures include mathematics, theoretical and technical computer science, web-engineering, programming, and business administration. Focus on computer science, including the topics: data bases, operating systems, Java, Assembly, logic, networks, and others. I am occasionally publishing articles at timodenk.com/blog. Timo Denk, Samed Güner (to be published mid 2019): Pagerank Prediction with Deep Graph Networks. Student research project at DHBW Karlsruhe.